What does it take to be a professional racing driver? How does it feel – through your hands, neck and whole body – to drive a single-seater flat out? These are questions many of us will have pondered, but only a select few will be able to answer. Piloting a thoroughbred racing car takes guts, focus and fitness – three things most of us have in portions, but something that F1 drivers have by the bucketload. 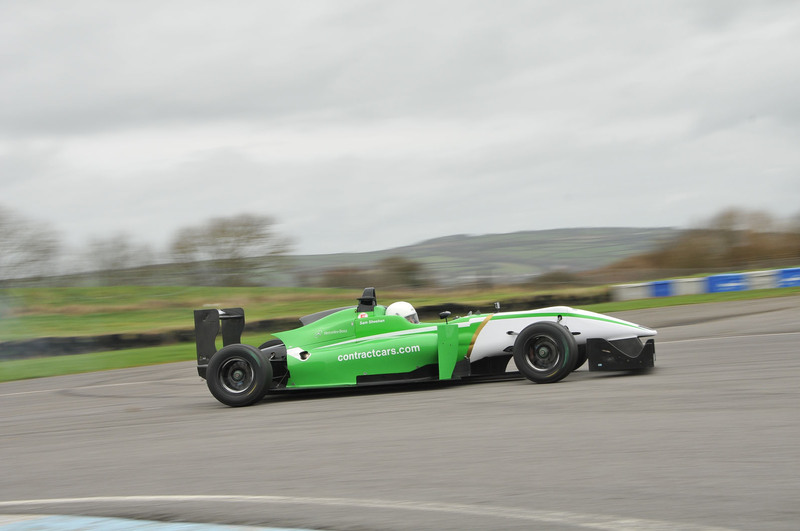 To get a flavour of what’s required, we’re at Pembrey Circuit in Wales with Double R Racing and one of the team’s FIA Formula 3 cars is at our disposal. Chandhok is here to lend some F1 knowledge. He says to “build up slowly, but not so slowly that you lose tyre temperature”, and to “get used to the fast steering [response] before learning about the car’s throttle”, which is “very responsive, so the car will wheelspin easily”. A single-seater has next-to-no suspension travel and its weight is distributed so perfectly that body roll is non-existent. Chandhok says this means there’s no need to manage weight transfer, so essentially everything one has learned about driving a regular car quickly has to be unlearned in a single-seater. When a racing driver hits the brakes of a single-seater at the end of a straight, they hit them hard. 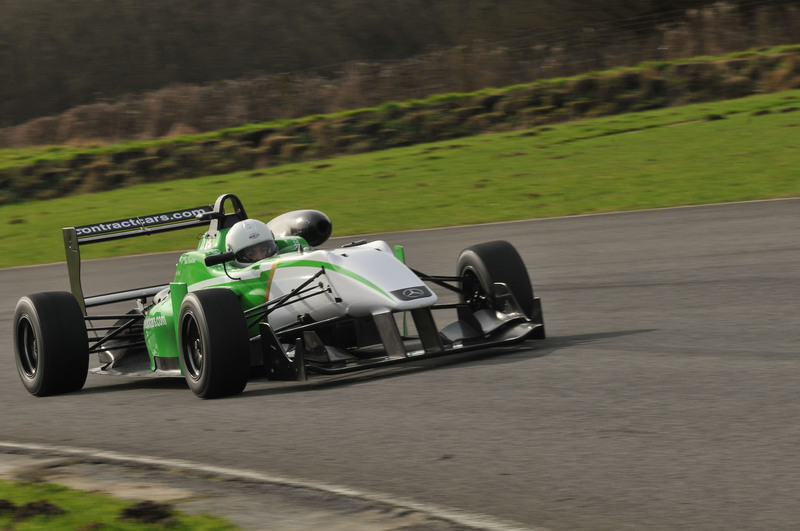 In the F3 car, Chandhok applies 93kg of pedal pressure as he flies towards Pembrey’s tight first corner. “You use the downforce [to help slow you] at first, but as speed decreases the air density is less, so you need to bleed off the brakes,” he says. This is a real workout – our attempt peak brake pedal pressure never surpasses 63kg. Single-seater racing cars have steering so responsive that even the fast rack of a Ferrari 488 GTB feels sluggish in comparison. “A novice will normally turn in [to a corner] too early, so they end up on the wrong line,” says Chandhok. A pro, on the other hand, will have perfected the link between brake application and steering lock, so will be bleeding off the brakes and winding on steering lock at the same time. Doing this at race pace, without locking the front wheels, we learn, is phenomenally difficult to master. 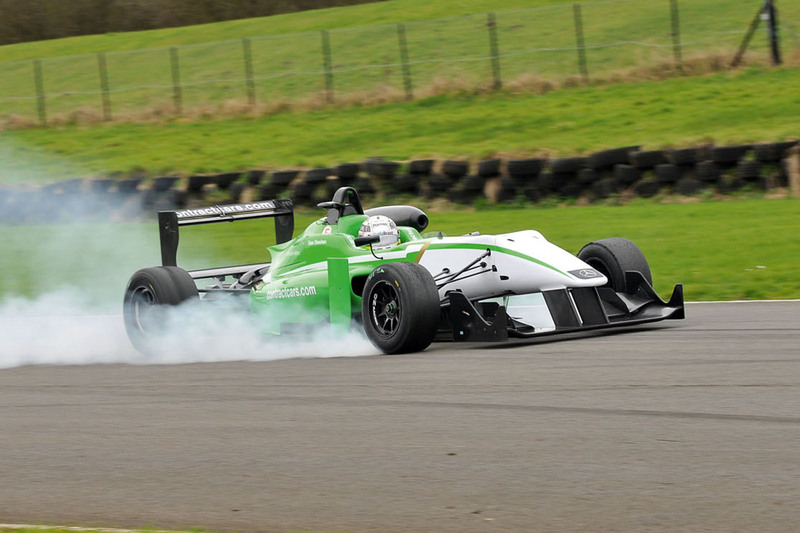 The traction available from a slick-tyre-shod racing car is almost unfathomable until you experience it. It’s so good that you have to convince your brain that it’s possible to accelerate hard in the middle of a corner, something that would result in a spin in a rear-wheel-drive road car. Such is the level of grip that “you can use first gear in the slowest corners to improve drive on exit”, says Chandhok. Getting on the power early becomes a test of bravery. Downforce is often referred to as a dark art, and for good reason. Like an F1 car, an F3 racer generates more downforce than it weighs (which is just 565kg), so it could in theory drive upside down along the roof of a tunnel. Learning to trust this invisible force is mentally taxing and it takes time to build up to it. “The faster you go the more aerodynamic force there is, so you have to be committed enough to get it working in the fast corners,” says Chandhok. This is where fearless drivers excel. The physical side of driving a single-seater is probably the most difficult to understand from the outside. At Pembrey, Chandhok pulls up to 3.2g around the fast final corner, whereas yours truly only just manages 2.5g – about half what an F1 car can pull. The difference relates mainly to commitment (read: bravery) but also to physical endurance. It becomes a challenge to support your neck after just a few fast laps. “It’s why you sometimes see F1 drivers resting their heads towards the end of races,” says Chandhok. I'm fed up of reading the often quoted "fact" that an F1 car -and now F3 as well it seems - develops so much downforce that it could theoretically drive on the roof of a tunnel. I want to see someone actually do it. the fuel system on a single seater wont work upside down. Its not that hard to believe. more lift than weight. Look up 747 take off on you tube to see aerodynamics at work. I've driven single seat downforce cars a few times. Completely agree with this article. It's so different it's frustrating. I was quicker in the Golf GTi 'learn the track car' as I knew how to drive one of those on the limit! I kept braking, slowing and therefore losing downforce grip compared to the correct approach of keeping flat out to get more grip. 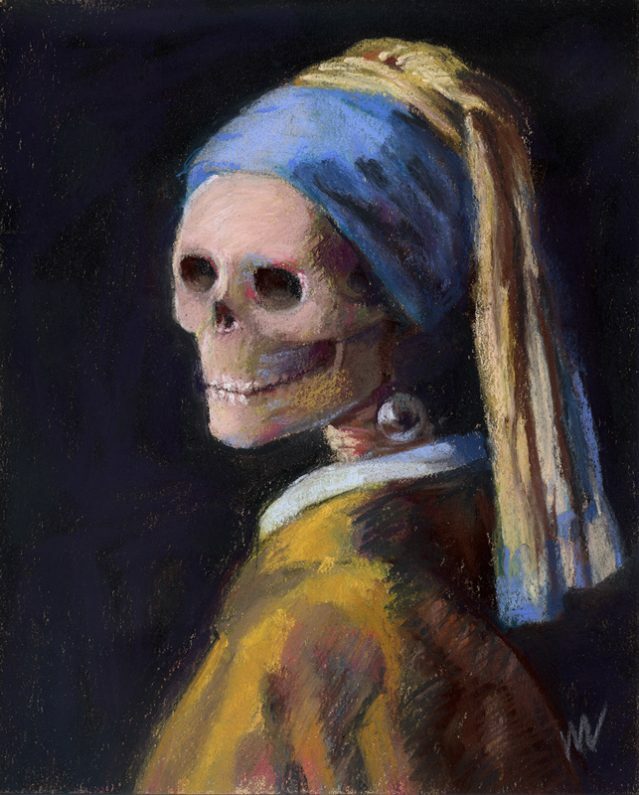 Fun though - just need to be 30 years younger and a very rich backer to turn it into a career!